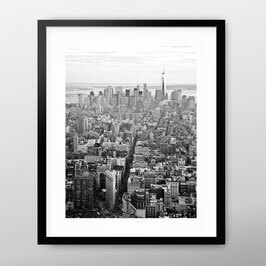 This monochrome art print features the New York skyline from the Flatiron building all the way up to One World Trade Center [Freedom Tower] and beyond. 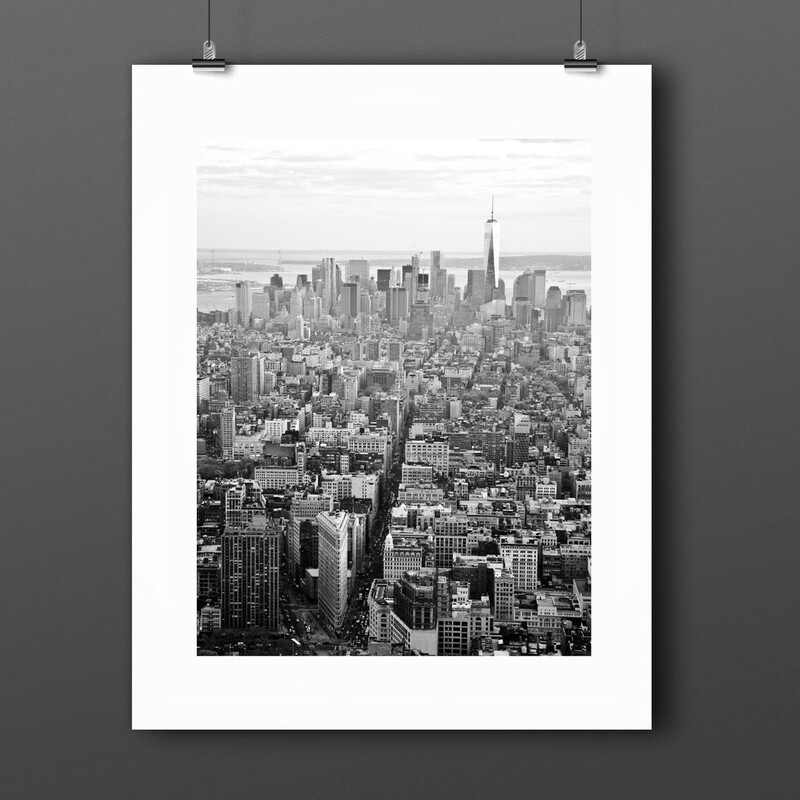 An areal view following the lines of the city in strong contrast and a little city fog. Open up your room by placing it center stage or large scale. It would look great in a living room or office as a feature piece. But of course it could also be displayed within a collection to add depth and a contemporary powerful feeling. 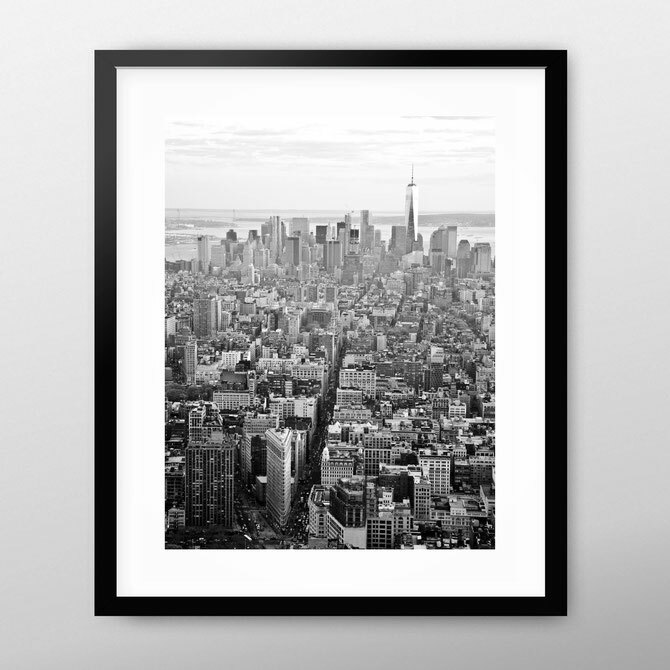 The perfect gift for a New York or monochrome modern art fan.